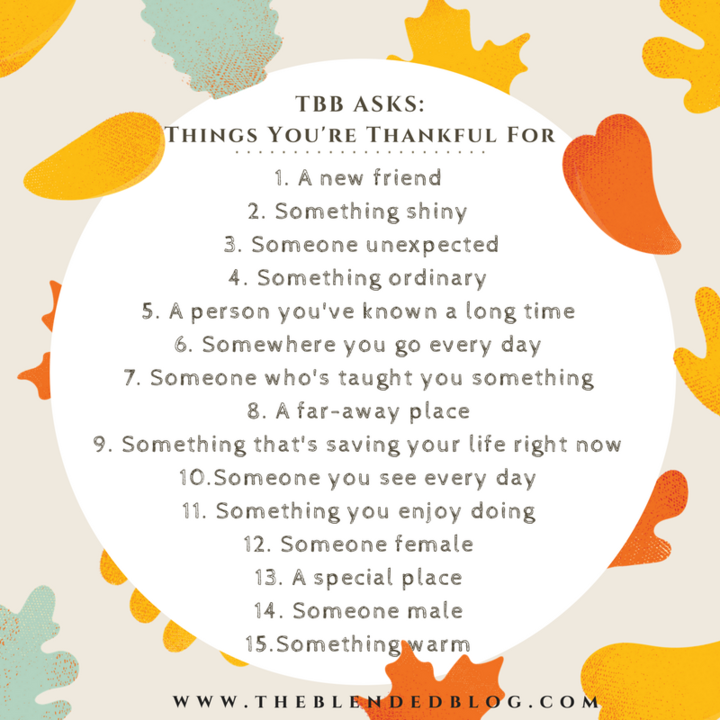 It's the first Monday of the month, so time for a little TBB Asks with The Blended Blog. I love that we're focusing on thankfulness this month. Sometimes if feels like we jump straight to Christmas this time of year and skip right over Thanksgiving and all that it means. Having just come back from a glorious, much needed girls getaway in Las Vegas, I'm feeling especially sentimental and thankful today. I have so many blessings in my life, and all of them revolve around love, family and friendship. This weekend I was surrounded by laughter and music and positive women who know how to lift a person up and make them feel special. I'm so grateful for their presence in my life. My heart is happy...but the rest of me is exhausted. So I'm saving these questions for another day, when my brain can make sense of all the thankfulness swirling around in there. 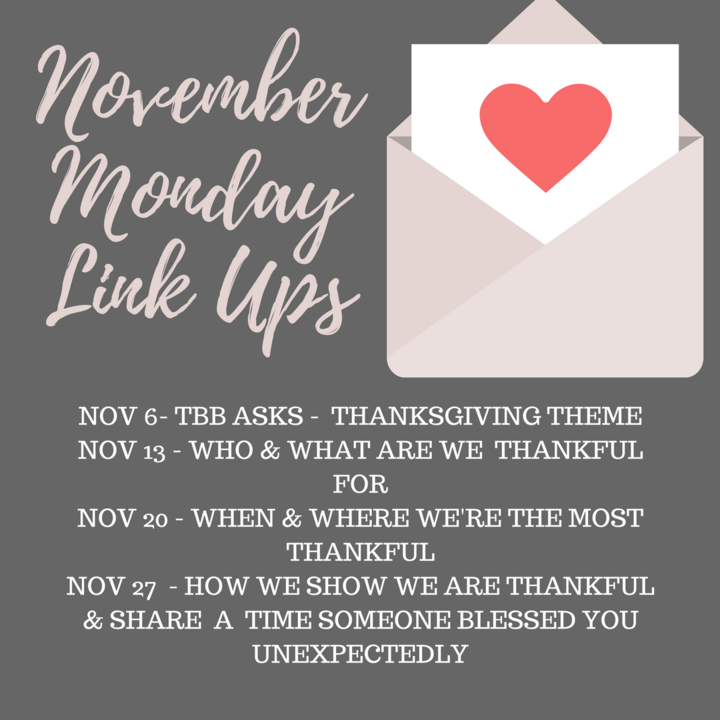 Be sure to head over to The Blended Blog to share in the gratitude, and come back the rest of the month for more! So very grateful for your! Sure missed you guys but I'm grateful for you and the love you all bestowed my mama this weekend! So glad you had fun in Vegas! Drinking a bevi by the beach for you! It is fun to be tired from having a good time! Thankful for you Lana and the time we got to spend together this weekend!! I can't wait to read about the weekend. I think you're so awesome for having such a great time. You deserve it!